In a world of pressure, discover your inner world! Reviewing your life can present an opportunity to reflect, and to recognise your personal and professional success ― something that in your life back home you are less likely to make the time to do. You may discover hidden ideas, and reservoirs of creativity. A life review offers you the opportunity to celebrate and own your successes, and to ‘reconcile’ any perceived failures, emotional issues, or events, regrets, or losses, and sense of inadequacy, where you may be or feel, ‘lost for words’. A life review session can support you in ‘finding the words’, and in finding those words, discover value, learning, and perhaps even ‘benefit’ from the event that took place. You may reflect, pleasantly on the advantages that may have already, or are about to arise from the event or the circumstance ― whatever that may be. In this way you can begin to move from the ‘disaster’, and the ‘despair’ and ‘depression’, into the ‘light at the end of the tunnel’. You are likely someone who keeps their career resume (CV), bang-up-to-date. Deborah offers you the opportunity to bring your emotions, and your inner world, up-to-date with your outer world, so you feel more congruent, more authentic, more in balance and more at ease with yourself and your world. • practise moving forward with Glee, Gladness, and supreme Optimism into your continuing successful future! If you have any questions or if you wish to take advantage of Deborah Marshall-Warren’s services please fill in the contact form below. If you are situated outside of London or Malta, Deborah offers you the opportunity of one-to-one sessions via video-linked Skype. Join my list to receive my latest news & offers! 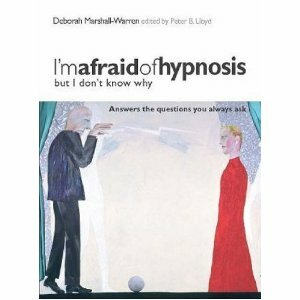 Whole-Being Hypnotherapy by Deborah Marshall-Warren provides fast-track interactive hypnotherapy in one-to-one sessions. Deborah also gives talks and leads relaxation groups, and has published three books and four CDs. Are you sceptical about Hypnotherapy? Download the first two chapters from Deborah's book for FREE! Bust common hypnotherapy myths and see how hypnotherapy can bring out the best in you!